SPA and the Juno Committee is celebrating the International Women's Day with a special lecture on women and physics in the developing world. 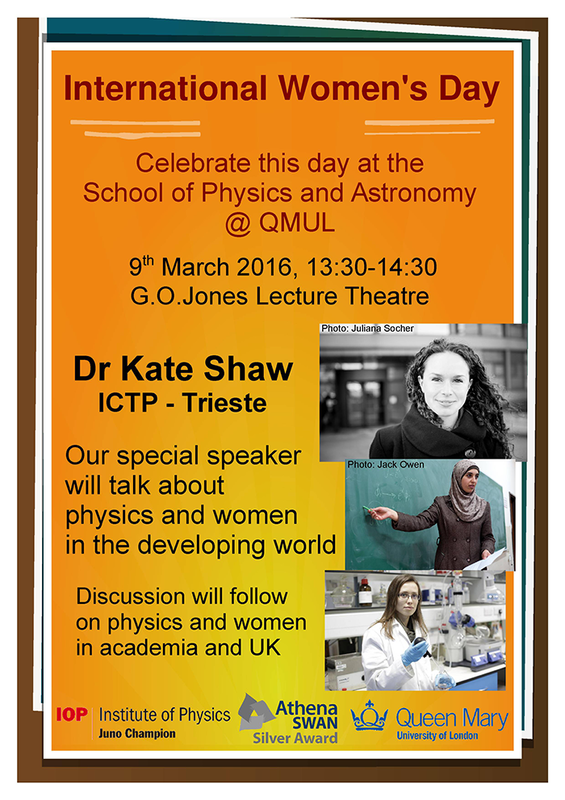 Join us on Wednesday 9th March at 13:30 in the G.O.Jones Lecture Theater. Dr Kate Shaw is a particle physics researcher working in the ATLAS experiment at the CERN collider. She is also passionate ambassador of physics research in developing countries.